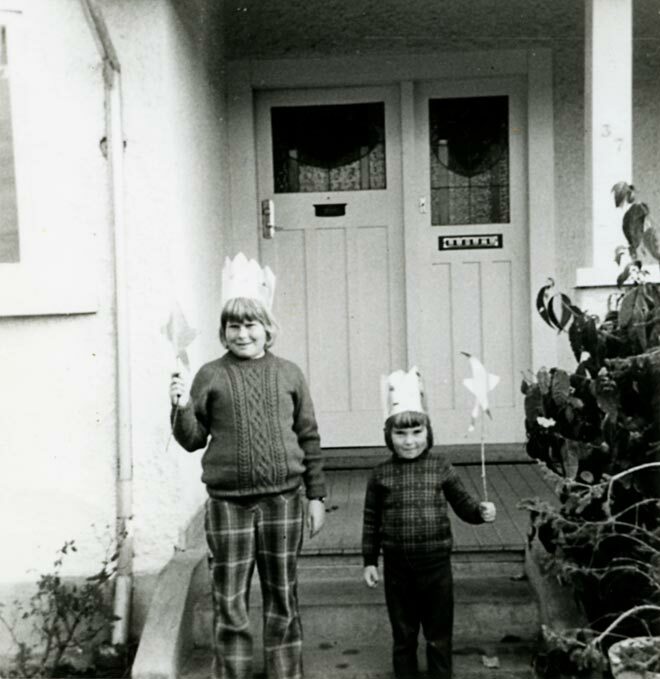 Caren and Julie Wilton of Masterton wear jumpers knitted for them by their mother, Eileen Wilton, in the early 1970s. Eileen made all of the family's knitwear. Knitted jumpers and cardigans were popular children's garments for decades, but they were superseded by cotton stretch sweatshirts later in the 20th century.